Modern print technology, advances in papers and inks and computer aided design have lifted the photo book from what were, on the whole, fairly dire offerings if you go back twenty or thirty years, to what are these days often beautifully conceived, designed and printed portfolios of a photographer's work. They may reflect a single project, a retrospective or focus on a region or technique. Whatever the subject or format, every few days there seems to be a new photo book on offer to tempt us to invest in the work of a photographer that we admire. It is impossible for any but the very select few to get a traditional book publishing deal with a publishing house like Dewi, Argentum or Arum. These houses need us to have a real ‘name’ with a massive following, like Joe Cornish, Charlie Waite or Michael Kenna. They produce large hard bound books and have to print in volume, so a large market has to be there for the investment to be made. The photographer also has to have a very large portfolio of high-quality work to select from. For most photographers, though, this route is not available. With so much new material flooding our consciousness and social media streams vying for our attention, I thought it might be good to take a step back and look at the whole landscape photo book industry. Many of us, me included, are avid collectors and I am sure probably the majority of us harbour a secret (or not so secret) desire to one day see our work featured in a photo book ourselves. Who wouldn’t like to think their work is preserved for ‘eternity’ in the British Library, complete with its own ISBN number? 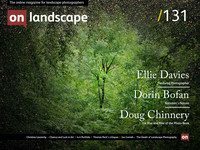 So, what is it like to run a landscape photography publishing company? What kind of work are the publishers looking for? If you do manage to get them to publish your work, will it make you rich? What about self-publishing? How can that be approached? What are the pitfalls? I approached several publishers and self-publishers to ask them these kinds of questions and more to get a feel for the whole business of getting our work into print and in front of an audience. I found the answers fascinating. Here is what they had to tell us.